While the requirements of commuting from one place to the other are enhancing in a rapid way, the prerequisites of Onboard diagnostics or the best obd2 app for the cars are raising. Breakdown of your vehicle in the middle of the road is certainly one of the worst things that may waste your precious time. So you’re looking for the best obd2 app for your vehicle and don’t know where to start. Fortunately, we’re here to help. But before we get onto our review, there are some things you have to consider before getting your first OBD II app. What model and year is my car? Does my car have Bluetooth compatibility? Do I have an Android or iPhone? Asking these questions will help you determine which obd 2 app will work for you. And when you find one, it’s always a safe bet to try out the Lite version first. This will help you perform a litmus test to see if the app works with your vehicle. Once you’ve gotten used to the Lite version, and it works with your vehicle, then you can switch to the Pro version to fully utilize the app. Diagnostic trouble codes from every control units that are placed in your car. OBDeleven is the best app on the market because of its responsiveness and functionality. The OBDeleven communicates in Bluetooth to an Android phone. This allows you to do what most users will be able to do with a back comp system. As a result, you can benefit from this app because you don’t need to stick your laptop in the car in order for it to work (who places their laptops in the car anyway?). To use it, place the device near the OBD port of your car found in the driver’s seat. Download the app and create an account to sign up. Then, connect the app to the Bluetooth of the car. 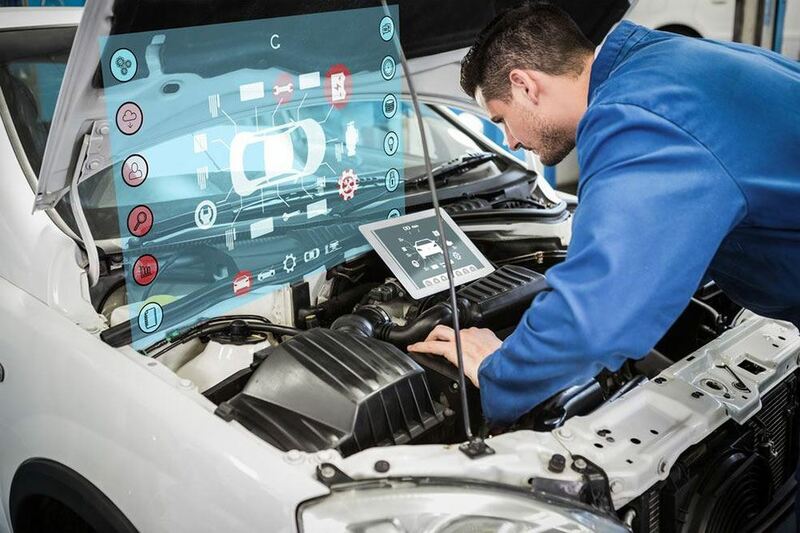 Once the device is connected, you’ll start to see diagnostics of the vehicle. And we’ll tell you the difference between both the Basic and PRO edition right here. If you have a non V11 and you want to check up on basic faults for your car. But, if you need an app that’s for live data and for manual coding, then you should get the PRO edition. Another important thing to remember is that you can update to the PRO version once you’ve have gotten used to the Basic edition. Some shoppers complained that while the app is inexpensive, they have to pay for its usage by watching ads or buying credits. However, that is not the case. Users can still use the OBDeleven’s app for convenience. Note: You can buy credits separately in both BASIC or PRO version. That means you do not get credits when you purchase PRO, they are not related. Credits let you activate cool features with one click apps. Credits can be purchased or you can watch Ads and get free credits every day (1 free credit for login and 5 free credits for watching Ads/day). 10 credits cost 1.5 EUR and 10 credits are enough to activate the main functions. Basically, the OBDeleven is the best car diagnostic for people needing quick information about their car. It saves you time by giving you a detailed analysis of your vehicle faster than going to the mechanics. So if you’re looking for an obd2 app that’s worth your money, you should definitely look at this one! Carista OBD2 is a pro scan tool that most car aficionados swear by. It allows you to diagnose your vehicle for existing faults and tests the car’s emission. It comes with an OBD II adapter that’s fitted in the car’s OBD II port. Once the Carista app is plugged in, it will tell you the if your car is struck and provide extra information about the vehicle. For those who want an obd2 app that alerts them on their car’s performance, the Carista OBD2 is one of your best options. It allows you to control the temperature of your car and respond if it overheats. The app runs in the background and will send an alarm to alert you that the temperature is at an unsafe level. Also, Carista OBD2 allows you to customize the way how your car behaves. For instance, the app can set the car’s headlights to automatically turn on when someone starts the engine, lock the doors when the car starts moving, or change the back parking sensor sounds. Because of this, you’ll be able to fully utilize your car and improve its lifespan. Thus, this application is the best obd2 app for android. Not only does it help you customize your vehicle, but it gives you the information needed to make repairs or change its engine in an emergency. So try to get this app while you can! Third on our list is the Torque Pro. This app is one of the most popular apps in Android’s Play Store because of its reliability and overall functionality. Consumers like this app because of its numerous detectors and features supported with it. It has enough plugins and widgets to help you monitor your car’s health effectively. With the application’s widgets, you can customize the dashboard of your vehicle. And, the Torque OBD app has a GPS feature that logs with your car’s OBD engine to see how it’s acting at any given time. It then shows a CEL/DTC fault code scanner which can view your car and spot out any issues. When using Torque Pro, you’ll be able to spot out difficulties immediately. The only issue that users have with this app is that is has a high battery consumption. To solve this, we suggest that you have your phone fully charged before running it. Doing this will allow you to utilize the device and have time to recharge it if the battery runs below 30%. Still, the Torque Pro is a useful app if you’re trying to monitor the performance of your vehicle. All you have to do is plug it inside your car, and you’ll find out detailed information on how to keep it up and running. Hobdrive is one of the most underrated apps in Google Play Store. The app acts as an OBD2 Diagnostic Software and a Trip Advisor. Because of this, users find it easier to drive for extended periods of time. We like the app because it allows users to receive diagnostics on their total travel time. For example, Hobdrive shows the fuel level, fuel economy, intake air, total time traveled and other important specs about your car throughout the duration of your drive. Some consumers found fault with the application because of its small design issues. They complained that they had to continue re-logging in their information each time they turned the app on. While this may be a minor inconvenience, just uninstall the app and reinstall it if it continues to give you this problem. Basically, if you want the best obd2 android app 2019, then look no further. The Hobdrive gives users the MPG tracking errors tracking, and engine diagnostics to help the user get to their destination safely. So give this app a look if you want a handy tool with you on your long drives and road trips! Fifth on the list is the OBD Car Doctor Pro. This application is known by customers because of its real-time statistics. Once plugged in, the app can spot certain deficiencies and has custom configurations for non-standard protocols and parameters. You’ll like this app because it has real sensors and monitors attached to it. You’ll be able to quickly find out the fuel economy, gas consumption, etc., just by logging on with your account and pressing a few buttons. Thus, making this app a great choice for new drivers who want an accessory that’s usually suspended. But, some consumers did not like that app’s tendency to disrupt the Wi-Fi connection. When turned on, some users will notice their Wi-Fi connection turning completely off and the app’s inability to read all the codes. If this happens, it’s best to get a new adapter or restart the app. The OBD Car Doctor Pro is one of the best obd apps due to its utility, responsiveness, and the accuracy of its car diagnostics. So, get this app if you want to stay updated on your car’s performance so that you can treat certain issues effectively. Next up is the OBD Auto Doctor. With this simple to use OBD-II Software, you can connect to your vehicle’s On-Board Diagnostic system and turn your mobile phone or computer to an automotive scanner. The OBD Auto Doctor is a must-have tool for people that want to know their cars better. Whether you want to reset the “check engine” light or monitor your data in real-time, this is the only piece of software you need. For those that are interested in using this car diagnostics software, we suggest that you start with the Lite version first. If the free version of this device works, then you can opt for the pro version. This version has more advanced features (real-time scanning, built-in DTC database, etc.) to help you fully understand what’s right or wrong with your vehicle. Is your car OBD II compatible? Is your car’s key placed in the ON position? Is your scan tool’s adapter compatible with the device? Overall, When using this device, it will display information such as the speed, pressure, angle of rotation, temperature, as well as sensor data that are supported by your vehicle. So if you want to utilize your car’s OBD system easily, keep this device in mind! The EOBD Facile is the best obd2 app for iPhone. It allows you to check on the engine’s fault codes in order to determine their meaning. This comes in handy when you’ve been driving for hours and need statistics in your car in a real-time manner. What makes this application different is its ability to record and save your trip recording. When using the app, it can record the entirety of the trip on your iPhone/iPad and can be recovered via the EOBD Facil app. Also, it allows users to receive records of GPS data on their vehicle. This makes it easier for them to find their location and reach their destination. Get this device if you are seeking real-time information on your car’s geolocation and performance. On the other hand, there has been some concern about the app. For instance, it the free version is non-functional, and there are some periodic problems with the device’s connectivity. If these issues are present, then you should get a replacement immediately. You can’t go wrong with the EOBD Facile if you have an iOS phone. The app gives a lot of utility when you’re out on the road as it gives you detailed reports on the health of your car. So try this app if you’re willing to take care of your car. Last on our list is the Engine Link II – OBD II Diagnosis app. You can connect it to your vehicle using either a Bluetooth connection or an adapter. This app is useful in the way that it helps users monitor their fuel consumption. The display will show a percentage level of how much fuel your car is using and send you an alert once it needs to be fixed. You can choose what data is displayed when using this app. The Engine Link II- OBD II app will show the horsepower, acceleration, torque, engine RPM, etc. and gives you the freedom to choose which data is necessary according to your situation. However, there have been some issues with the app’s language support and its incompatibility. You have limited to ELM compatible devices or low energy adapters for it to work correctly. So make sure to check your device to ensure that it works properly. Obdeleven reviews state that the Engine Link II – OBD II Diagnosis app is a life saver for car enthusiasts. It gives you enough information to spot the errors of your vehicle so that you can either repair or replace the defective parts. Give this app a chance if you need extra support and diagnostics for your vehicle! To conclude, the best obd2 app will depend on your preferences and the specs of your car. So try each one of these apps until you get one that suits your vehicle perfectly. Do you have any additional questions about these apps? Video games have come a long way since Pong, and we now have a variety of different genres to play across a range of platforms. Gamers will always debate amongst themselves about the strengths and weaknesses of each platform, but they will nearly always show some form of bias for their preferred gaming system. Over the course of this article, we’ll be covering the three primary types of game systems in this day and age. We’ll take a look at highly portable mobile platforms, available game consoles, and powerful gaming PCs, comparing each of them so that you can see exactly how they differ from each other. PC gaming is often seen as the most cutting-edge way to play your games, and it makes sense. A gaming PC is a lot easier to keep updated than a console since you can replace the components as soon as they come out. Console gamers instead have to wait until the next iteration of their system comes out. Of course, a PC is also much more versatile than a console, as you can custom-make one that isn’t constrained by whether or not it will be feasible on the market. Keep in mind that gaming PCs pay for their impressive performance and graphics when it comes to stability, with the quality of releases depending on their degree of optimization. 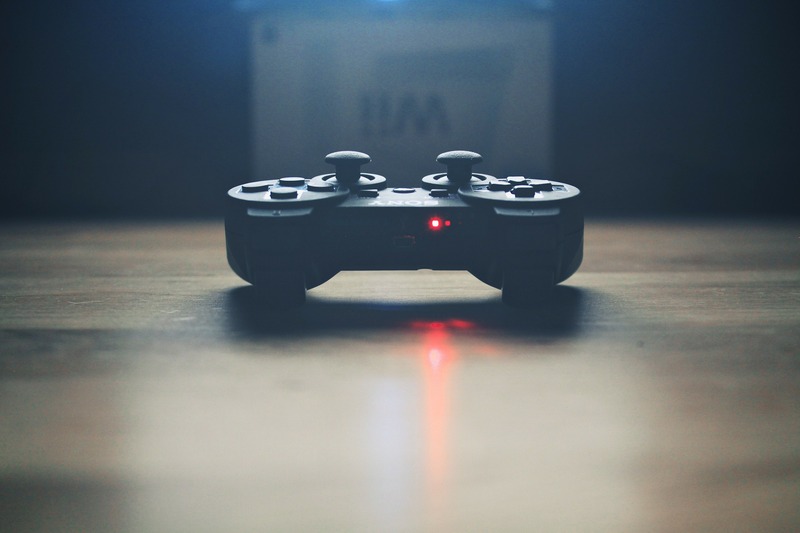 Console gaming is often seen as the more convenient alternative to PC gaming, and there is significant overlap between the games that are available on both types of systems. Console games will typically run at a lower frame rate and a lower resolution than PC games due to the inherent limitations of the systems. Since a game console has to be reasonably priced, then there is a limit to the performance they can output, and yet they provide immense value for money. You would be hard pressed to find a gaming PC complete with a keyboard, mouse, operating system, and monitor for the price of a console. Finally, mobile gaming takes up a huge percentage of the global gaming market, and that’s what makes it so attractive for game development services. Whenever you have a bit of downtime, you can simply take out your smartphone and start playing a game, and the massive number of ads rakes in a tidy profit. While there are some games (like Fortnite) that are available on mobile, console, and PC, you’ll find that the majority of mobile games are not available on the other systems due to their simplicity. Mobile games usually have simple control schemes due to the difficulty of adapting them to a touchscreen. There is no “best” way to play video games, so don’t let anyone discourage you based on your preferred platform. We hope that this guide has summarized the differences between each of these kinds of game systems. It seems as though every component of business computing is being used as a service, including DevOps. The advantages of using devops as a service are obvious: You are able to rent computing resources instead of having to buy and manage them on your own. However, is it possible to outsource each aspect of business operation? Can DevOps as service work for your organization? Does the cloud collaboration between operations and developments help speed up projects, or does it mean that your company will lose control of business-centric applications? Before discovering the arguments supporting and refuting devops as a service, it’s good to define the meaning behind DevOps? The term DevOps comes from the creation of operations and development, two different disciplines. Some traditional companies have departmental silos that make it difficult for IT professionals to work on creating business automation software. DevOps creates an environment needed for the rapid testing and development of custom business software. Making a DevOps-based collaborative environment is easier for security specialists, IT engineers, QA engineers, and other teammates to ensure that there is synchronization, integration, and synergy between workflows. To ensure that your DevOps environment is successful, your team will need to use agile software methodologies. The more difficult the project, the more enterprise components you’ll need to ensure that your team works properly. DevOps as a service allows you to relocate those enterprise resources towards the cloud. Rather than using basic software development tools, DevOps as a service collects the development tools towards a platform that’s hosted in the cloud. DevOps as a service hides the complexity of information and data flow, which means your DevOps team members can focus on their team specific tools without having to know the entire toolchain. For instance, a software developer can conduct tests through source code management tools, and IT operators can make changes with configuration management tools. DevOps allows users to collaborate as it places tools on the cloud. This allows users anywhere to work together and complete projects. Using cloud-based services is a data-driven process where everyone has the same data set. This leads to better quality control and documentation. Security is always a huge concern. Your security team isn’t always apart of DevOps and the DevOps teams usually choose speed over security when creating software. With DevOps cloud services, you can create unnecessary exposure and risks, especially if its the transport layer that’s left unsecured. Outsourcing DevOps infrastructure will require some level of software development expertise, including having an understanding of orchestrating a workflow, infrastructure, and integration. You’ll need experts and tools of DevOps as a Service in order to be successful. When you’re using DevOps as a service, you’re increasing your IT teams’ productivity. And if you’re thinking about making a new DevOps strategy, DevOps as a Service will help shorten the time to deploy apps and will give you versatility as you create new business process applications. Modern technology has proven itself disruptive time and again which has allowed businesses to flourish and advance in industries like education, manufacturing, logistics, and finance. Disruptive innovation is also disrupting companies from Google to Microsoft. While in the past the disruptions were unexpected, it has allowed business owners and entrepreneurs to see how the innovative ideas are lucrative opportunities that improve business models significantly. Here are three transformative technologies that are revolutionizing businesses worldwide. Some of the most popular APIs utilized by companies include YouTube, Google Maps, Twitter and Amazon. As technology progresses, API integration offers limitless possibilities for companies to expand as growth and revenue do. 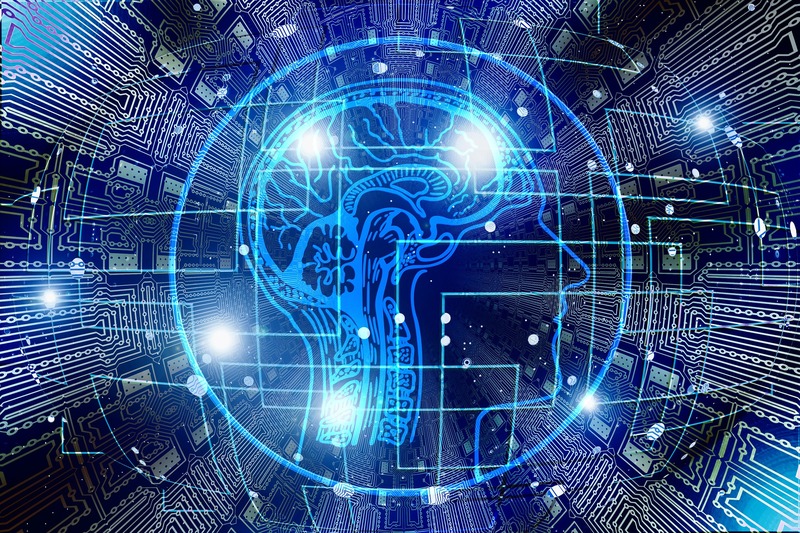 Thinking about artificial intelligence (AI) in the past mostly innovative thought process, but today it is a mainstream tool used in daily business operations to improve efficiency and productivity. By 2030, experts predict that AI will contribute $15.7 trillion to the global economy and 26 percent gross domestic product to local economies. As more businesses pop up online, APIs will customize customer experiences and analyze data that interprets consumer buying histories to predict future product or service trends. It will also help companies use predictive AI to target new demographics based on behaviors. What is clear about AI is that it is set to disrupt more companies in the future because of quantum computing that will be smarter and more complex than how we are using it now. It will solve problems like global warming, poverty, space exploration, and disease all because of AI superhuman quantum computer systems that will dissect and analyze data in seconds without programmers feeding them commands. Popular AI in use today includes Siri, Alexa, Cognito, Netflix, and Amazon. The next generation of AI will include facial recognition, augmented reality, internet of things connectivity, emotional replication, drone delivery, and voice or visual search platforms. For the past few years, blockchain cryptocurrencies have thrown many industries into a disruptive state as it decentralized how companies buy, sell and store data. Blockchain uses transparent ledgers to connect an extensive network of users, so it has a reputation of being a tamper-proof way to make transactions, which is an indispensable tool to e-marketers. Blockchain technology like Smart Contracts will also become mainstream, which will allow businesses to use it to secure financial transactions via cryptocurrency exchanges. Companies must prepare for the future of AI and blockchain technology by investing in the type of resources that transforms new talent and streamlines information technology departments to win in business.